John T. “Tommy” Tomazic, age 72, passed away peacefully at Summa Hospice in Akron, Ohio following a lengthy illness. 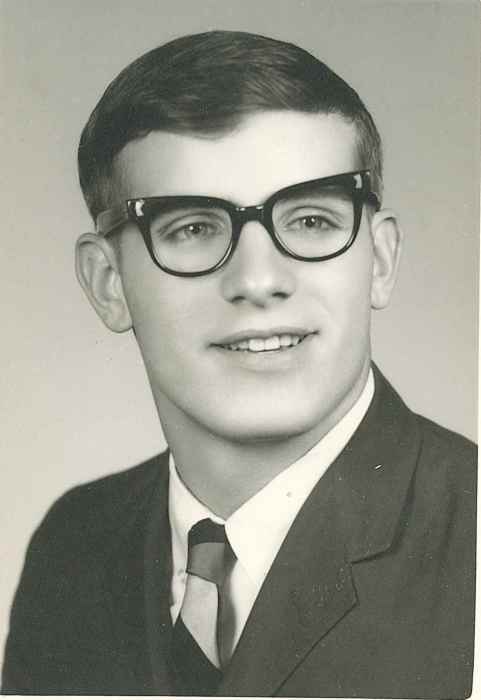 Born January 13, 1947 to Frank and Johanna (nee Drobnic) Tomazic, John lived in Lorain his entire life. He graduated from Admiral King High School in 1965 and was inducted into the Lorain Sports Hall of Fame with the 1962 AKHS football team. After high school, John attended Ohio State University, completing his Bachelor of Science degree in Physics in 1970. Later he would receive his Masters in Physics from Cleveland State University. John was a teacher with Lorain City Schools, Lorain County Community College and JVS where he taught plumbing and pipefitting. He enjoyed reading, farming and most of all, academics. Surviving is his brother, Victor (Reeta) Tomazic as well as many nieces and nephews. He was preceded in death by his parents, Frank and Johanna Tomazic and brother, Fred Tomazic. The family will receive friends on Monday, April 8 from 4 – 7 p.m. in the Dovin Funeral & Cremation Specialists, 2701 Elyria Avenue, Lorain. Funeral services will be held in the funeral home on Tuesday, April 9 at 1:30 p.m. Rev. John Retar of St. Frances Cabrini Parish will officiate. Burial will follow at Calvary Cemetery, Lorain. Memorial contributions in John’s honor may be made to the Lorain Public Library, 351 W. 6th Street, Lorain, Ohio 44052 or to NAMI of Lorain County, 6125 S. Broadway, in Lorain, OH 44053. To send online condolences, go to www.dovinfcs.com.